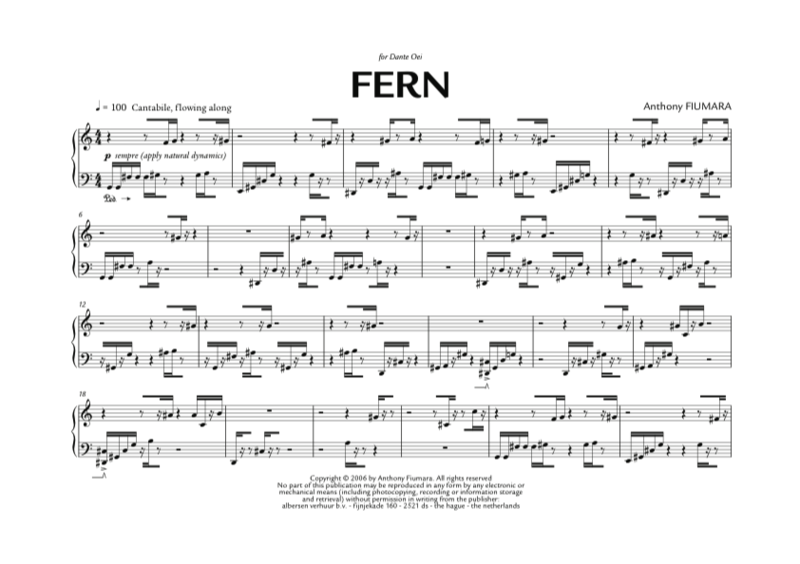 Fern is a postscript to Kranz. It uses the same plant-like algorithm, of which I translated the first recursions (a slowly growing repetitive structure) to the piano. Fern is dedicated to Dante Boon. Fern by Anthony Fiumara is a relief. A gorgeously slumbering shadow play with piano chords that slowly fan out like leaves of a fern. Music that discovers and listens to itself, without spectacular tricks. September 24 2006, Mellotone Piano Studio Amsterdam, by Dante Boon.